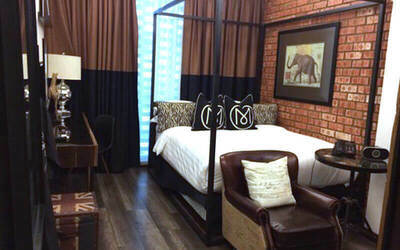 Relax and unwind from your weekly chaos and immerse yourself in a little bit of history and culture in the vibrant city of Ipoh while staying at the M-Roof Hotel & Residences. The hotel is located in the hub of the city centre granting you easy access to the city's exciting attractions. Visit the Ho Yan Hor Museum and learn about origins and evolution the famous household brand of Chinese herbal tea since 1940s or take a walk in the Kek Lok Tong Cave temple to enjoy its unique structure or clear your mind in their zen garden. If you are looking to fill your tummy, Ipoh offers their visitor insurmountable options of local fare that includes Hakka mee, chee cheong fun, dim sum, assam laksa, and more. 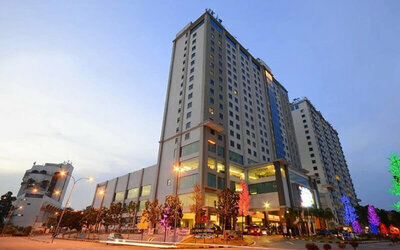 2D1N stay at M Roof Hotel & Residences Ipoh for 2 people (Deluxe Plus Room). Max. occupancy: 2 adults. 3rd guest subject to additional charges. Extra bed with breakfast for adult aged 13 and above: RM106 per person per night (only for Deluxe, Premier, and Junior Suite rooms).